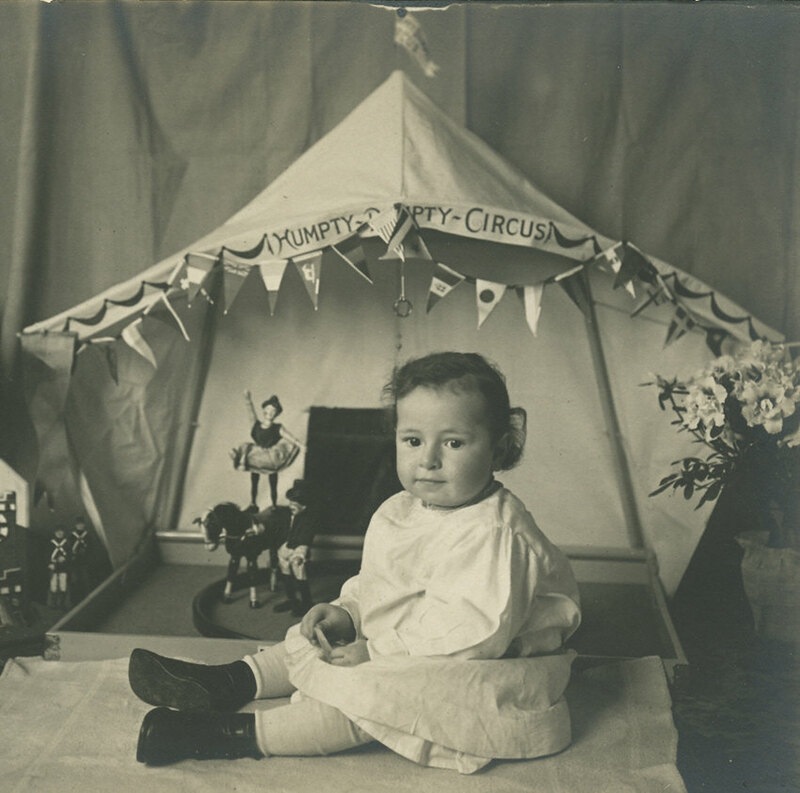 This photo, taken in 1911, shows Henry H. Stewart with the Humpty Dumpty circus he shared with brother William and sister Marion. The tent is an early menagerie model with a GE brown horse, a lady rider, and a (possibly) two-part head ringmaster. His daughter, Elizabeth Stewart, and her cousins now have many of his pieces and will provide us with photos. It is rare to find a Humpty Dumpty circus still in the family.